select *, DATE_FORMAT(birthday, "%b %e, %Y") as _birthday, DATE_FORMAT(died, "%b %e, %Y") as _died, MONTH(birthday) as month_birth, DAY(birthday) as day_birth, DATE_FORMAT(birthday, "%b %e") as _birth_day_month from agatti_people where agatti_people.u_name = "mary-pickford"
Shares birthday with Sonja Henie, Walter Connolly, John Gavin see more.. Legendary actress, Mary Pickford, was born Gladys Marie Smith on Apr 8, 1892 in Toronto, Canada. Pickford died at the age of 87 on May 29, 1979 in Santa Monica, CA and was laid to rest in Forest Lawn Memorial Park (Glendale) Cemetery in Glendale, CA. Mary Pickford was Born Gladys Marie Smith on April 8th, 1892 in Toronto, Ontario. Her father was an alcoholic who abandoned his family when Pickford was only three years old and passed away a mere three years later. Her mother worked as a seamstress and began to rent out their extra rooms to boarders to aid their meager income. A stage manager boarding at the Pickford residence took notice of Mary and suggested to her mother that the young, angelic six year give acting a try. He then helped the young Pickford find a couple of gigs. She made her stage debut playing two roles, one boy and one girl, in The Silver King at Toronto at Toronto's Princess Theatre. She joined the stock trope and began to receive more prominent roles and even a paycheck. Soon would acting would become the Pickford Famiy's bread and butter with not only was Mary touring the U.S, but her mother and two sisters as well. Although the family had consistent work, it was often for third-rate companies. The family often lived in poverty. In 1907, Pickford met producer David Belasco, who helped her land a supporting role in her Broadway debut The Warrens of Virginia. The play did well and Pickford invited to reprise the role on it's national tour. Despite the play's success, after the run, Pickford was out of work. In 1909, Pickford screen-tested for a role in the D.W Griffith film Pippa Passes. Although she did not get the part, Griffith was still taken with the young actress. She was soon hired under contract to Biograph pictures, for 10 dollars a day, while all other actor under contract were given only five dollars a day. In her first year at the studio, she appeared in 51 films, an extremely rapid pace amounting to a film a week. The next year Pickford followed the industry trend and moved to the West Coast. She continued to work at fervent pace, and the public began to take notice. Although actors were not credited in those early Griffith films, audiences began to notice the effervescent young actress that kept popping up in all their favorite short films. 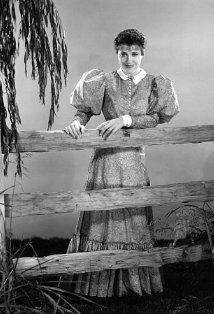 Soon, Biograph would market her image to increase ticket sales, thus making Pickford on of Americas first celebrities. Pickford would leave Biograph in 1910 for Independent Moving Pictures Company; however, when the IMP was absorbed into the larger Universal Studios in 1912, she left the studio, citing lack of creative control. She made one last film for Biograph, The New York, before returning to New York for the Broadway play A Good Little Devil. After the play, she dedicated to her acting to film. Upon her decision to act only in film, she sighed with Adolph Zukor's Famous Players Company in 1913. She starred in the success Caprice and A Good Little Devil. In 1914, the Famous Players Company became part of Paramount Pictures. 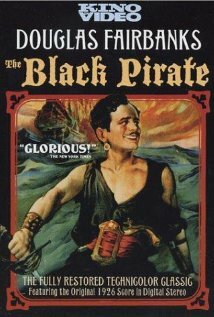 With wider distribution through Paramount, Pickford became even a bigger star. Film's such A Good Little Devil (1914), Madame Butterfly (1915), and Poor Little Peppina(1916), were huge money makers, owing their success to the popularity of Pickford. Some theaters even got into the practice of charging a premium for her films, knowing a Pickford hungry audience would be willing to pay the extra price of admittance. By 1916, Pickford was affectionately dubbed" America's Sweethearts, by the media. When the time came to sign a new contract with Zukor, Pickford's popularity allowed her received an unprecedented $10,000 a week, a percent of her films profits, and further creative control over her films. Her films were to be produced by her newly founded film company, Pickford Film Corporation and were released by Artcraft Pictures. By 1917, hits like The Pride of the Clan and Poor Little Rich Girl, Pickford had become most famous woman in the world, with only Charlie Chaplin enjoying a larger celebrity status than hers. In 1918, Pickford, along with fellow acting giants Charlie Chaplin, Douglas Fairbanks, and Marie Dressler toured the country promoting the sale of liberty bonds. They would sell over 18 million dollars in War Bonds. The tour was an early demonstration of the power film stars have over the general public. 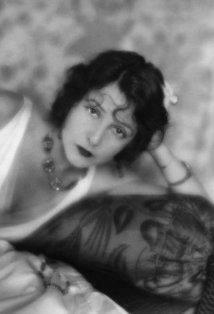 This magnetic power of the film star was not lost on Zukor, who hoped to weaken Pickford's creative control over films but to no avail. In 1918, when Pickford was ready to leave Zukor, he reportedly offered the star $250,000 to leave the movie business all together. First Nation, however, offered the actress 675,000 for a three-picture deal. Needless to say, she accepted the offer. Although happy with the higher pay, Pickford still craved more creative control. In 1919, Pickford founded the production company United Artist with Charlie Chaplin, D.W Griffith, and, the man that would soon become husband, Douglas Fairbanks. The company gave the actors complete creative and financial control over their own pictures. 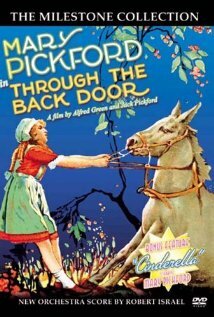 Pickford early release for the newly formed company, Pollyanna, grossed over million dollars at the box office in 1920. That year she would also marry actor, Douglas Fairbanks. United Artists continued to capitalize on Pickford reign as "America's Sweetheart,"starring in the films like Little Lord Fauntleroy, The Love Light and Tess of the Storm Country. In 1923, Pickford began to grow tried of her child-like image and starred in the Ernst Lubitsch comedy Rosita. In the film, played a poor but beloved Spanish street performer, far cry from her American sweetheart image. The film was commercial and critical hit, with much praise going to Pickford's performance. In 1924 she starred in the commercially successful Dorothy Vernon of Haddon Hall and 1925's Little Annie Rooney. In 1926, Pickford would play a child for last time in her career in the visually stunning Sparrows. The next year, she and Fairbanks would be the first celebrities to imprint their hands and feet in front of the Grauman's Chinese Theater in Hollywood. 1927 proved quiet the busy year for Pickford and Fairbanks, as they would also go on to help found the Academy of Motion Picture Arts and Sciences. 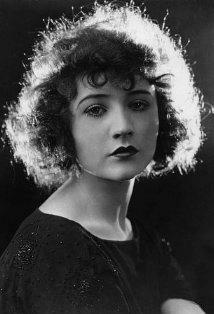 That year would also mark her final silent film My Best Girl. 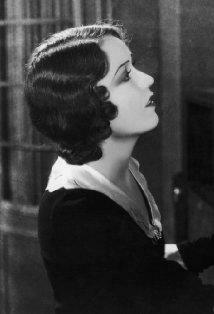 In 1928 she shocked the world by cutting her trademark golden locks in favor the more modern bob. The next year she would star in her first sound film, Coquette, playing a flirtatious southern beauty. Although she received rave reviews for her performance and won the Best Actress Oscar, audiences were not impressed. As with many of the silent era's greatest stars, Pickford's star was fading, as sound films became the apparent future of Hollywood. In 1929 she starred opposite her now semi-estranged husband, Douglas Fairbanks, big screen adaptation of Shakespeare's Taming of the Shrew, did not fair vey well at the box office. Now in her thirties, Pickford could not go back to the child-like image that made her famous and audiences refused to accept her in more sophisticated roles. Her next two films Forever Yours and Kiki were failures at the box-office. Pickford's final film, Secrets, was released on the same week President Roosevelt closed the banks as part of his emergency new deal policies. It failed at the box office. Later that year, Pickford would file for divorce from Fairbanks, though the divorce would not be final until 1936. 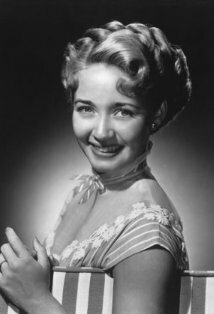 Although retired from the screen, Pickford would still produced the occasional film and remain a partner at United Artist. Upon leaving the silver screen, she returned to New York for the play The Church Mouse. She also penned Why Not Try God?, a Christian Scientist booklet. In 1936, just after her divorce from Fairbanks, Pickford would lose two of her siblings, Lottie and Jack, to alcohol related causes. Sadly, the deaths, her divorce and declining career would all contribute to own burgeoning alcoholism. She remarried a year later, and continued to produce films into the late 1940's. However by the 1950's Pickford began to retreat into seclusion. She sold of the last of her share of United Artist for three million dollars in 1956. 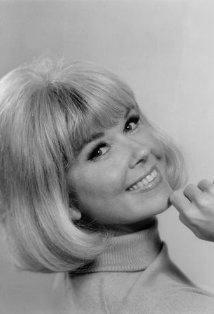 By the 1960's, she had almost completely retreated from Public view, entertaining only a few childhood friends. In 1976, Pickford was awarded an Honorary Lifetime Achievement Academy Award. Because she would no longer leave her estate, Pickfaire, she accept the award from her house, where camera were recording. On May 29, 1979 Mary Pickford died of a stroke at a Santa Monica Hospital. She was 87 years old. Mary Pickford was nominated for one Academy Award, winning for Best Actress for Coquette (as Norma Besant) in 1928/29. She was honored with one star on the Hollywood Walk of Fame in the category of Motion Pictures. Mary Pickford's handprints and footprints were 'set in stone' at Grauman's Chinese Theater during imprint ceremony #1 on Apr 30, 1927. In addition, Pickford was inducted into the Canadian Walk of Fame . 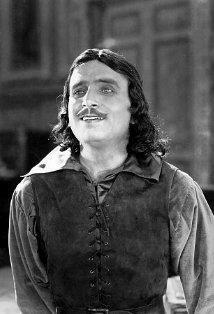 Maggie Johnson: He's a swell actor - his uncle knows Lon Chaney! Jenny Lawrence: I'd rather take in washin' the rest of my life than let you be a thief. Jerusha Abbott: P-R-U-N-E spells prune / Eating them means our doom / Life's too short and death too soon / To fill our tummies with the darn old Prune. She paid for her grandchildren to go to school, provided that they showed proof that they were registered. Son Ronnie has two children, daughter Jamie (born 1954) and son Tommy (b. 1955). Daughter Roxanne gave birth to a daughter, Katina, in the early 1960s. In same stage company as Lillian Gish and Dorothy Gish in early 1900s.